Discussion in 'Introduce Yourself!' started by CommandosSev, Jan 7, 2019. 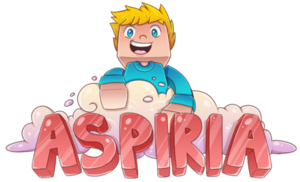 Many of you probably know me from the server, I've been around for a while, but today I decided to create a Forums account! Just some things about me: My favourite Minecraft mob is an enderman, while my favourite real life animal is a bunny! I'm a fan of Star Wars as many might have guessed, and my favourite colour is green. I also won't deny that I'm a great builder and terraformer, though not as bright in redstone.